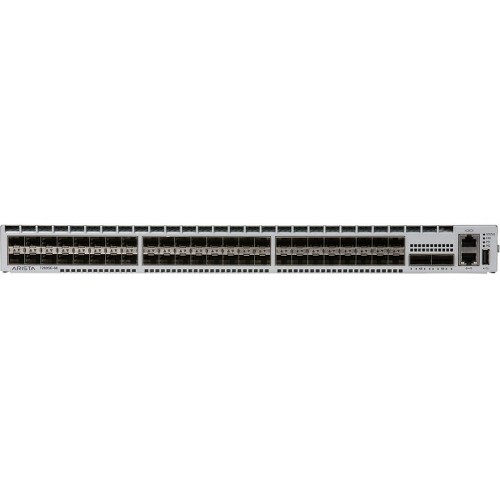 The 7280R Series are available in a choice of models with a choice of 10GBASE-T, 10GbE SFP+ with 40/100GbE QSFP uplinks and a range of 1RU and 2RU 40/100GbE systems that offers up to 48 ports of wire speed 100GbE in a 2RU system. 7280R support for 100GbE QSFP incorporates a flexible choice of interface speed including 25GbE and 50GbE providing unparalleled flexibility and the ability to seamlessly transition data centers to the next generation of Ethernet performance. The 7280R Series provide industry leading power efficiency with airflow choices for back to front, or front to back. An optional built-in SSD supports advanced logging, data captures and other services directly on the switch.